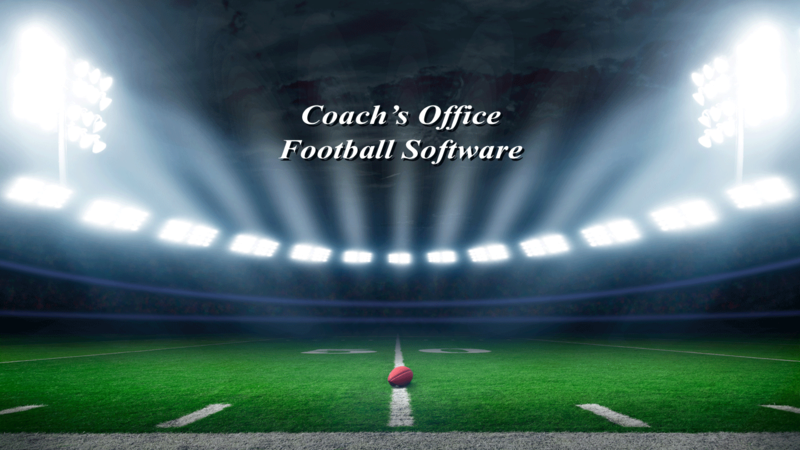 The chalkboard is the heart of Coach’s Office football software. This is where you draw plays – everything starts here. 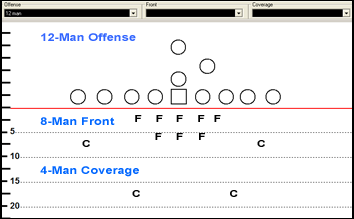 Draw offensive formations and plays, with fronts and coverages, and save them for future use in the playbook and script programs. The chalkboard is included in all the Coach’s Office playbook and script programs. 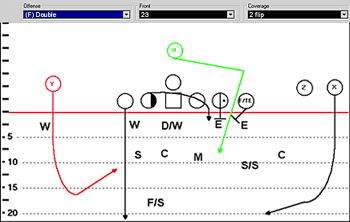 Use the chalkboard’s drawing tools to easily diagram plays. Draw routes and blocks with a large set of drawing tools. Choose predefined run, pass, block patterns. Draw solid and dash lines. Instantly flip the offense or defense left/right or above/below the ball. 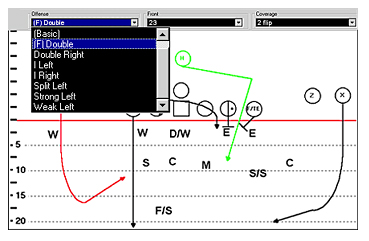 Easily display offensive formations/plays against any combination of fronts and coverages. Assign a color to a player and his route or blocks. Use preset symbols to shade players and assign any three characters. Print individual plays on full page. The chalkboard, playbook, scripting, and wristband features have brought a complete method to tie everything together. Draw routes, blocks, and other patterns using the chalkboard drawing tools. Simply click on a drawing tool, and then click the player. 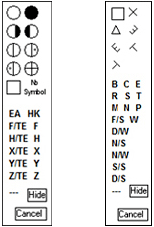 Easily adjust the direction and length of each line. Extend the pattern by clicking on a new drawing tool and clicking the end point of a line. Display formations from the three individual drop-down lists. Has capability of mixing offenses, fronts, and coverages in any combination. Choose the symbol you want for a player. Or enter up to three characters for a player. Start here! We have extensive chalkboard tutorials to help you get the most out of drawing/diagramming plays.